There are many different players on this Patriots team compared to last year. 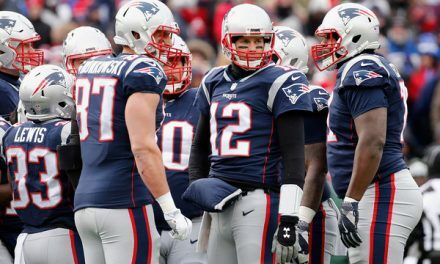 New England acquired four guys from trade, fifteen from free agency, and nine from the NFL Draft. They also lost nine players from trade and free agency and had three players retire. In this new series, I will be looking at every player from each position leading up to training camp. For this installment I will talk about the tight ends. The tight end position has been very valuable for the Patriots since Belichick took over. They became the first team to use three tight end packages and move tight ends to wide receiver slot. This past year they gained two tight ends from free agency and added one through the draft. 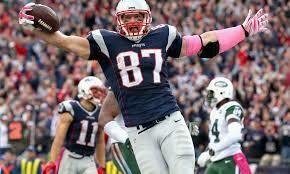 Gronk is considered the best tight end in the NFL, and has been for most of his NFL career. He is entering his ninth season for the Patriots after being drafted in the second round. Rob has proven to be great, but has also had some major injuries along the way. He has not played in 16 regular season games since the sophomore season. There were murmurs of Gronk retiring after New England’s loss in the Super Bowl against Philadelphia. It escalated all the way to the Patriots exploring trades for Rob. 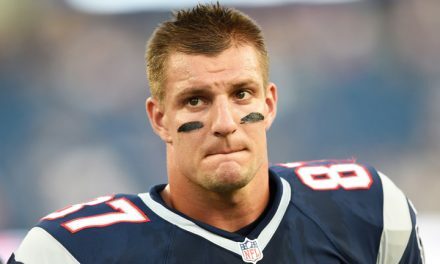 However, Gronk will be a Patriot for the upcoming season. Rob has shown on the field why he is so good. In Gronkowski’s rookie season he had ten touchdowns. He then followed up with an outstanding second year showing with 18 TDs, 90 receptions, and 1,327 yards. 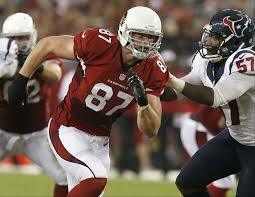 He broke the single season touchdown record by a tight end in NFL history en route to becoming a first team All-Pro. 2012 and 2013 was where Gronk missed a lot of time, participating in 18 games over the two-season span. He then came back in 2014 and 2015 with 1000+ yard seasons and 23 combined touchdowns. In 2016 he missed a lot of time again due to injury and only played in eight games. Gronkowski last season had a healthy year with him seeing the field for 14 games. He hauled in 69 receptions, 1084 yards, and eight scores. Gronkowski will need to be a major piece for the Patriots offense if they want to win another Super Bowl next year. Gronk needs to stay healthy for the season, especially with Edelman’s pending PED suspension. Rob will make it to the Patriots roster, no doubt. Dwayne Allen is entering his seventh season in the NFL and his second with the Patriots. 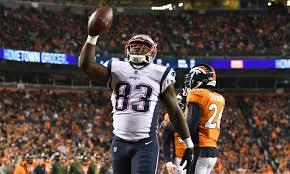 The Pats acquired Allen via trade in the 2017 offseason to help with the loss of Martellus Bennett. The Pats have a history of bringing in veteran backup tight ends to fit their offense, and that is what Allen was supposed to be. Allen started his career in Indianapolis as the Colts’ third-round pick in 2012. His rookie year he had 45 receptions, 521 yards, and three TDs. The next year he missed almost entirely due to a knee injury. He came back in 2014 where he had 395 yards and eight scores. In his last season with the Colts he played all 16 games and had 406 yards and six scores. The Patriots traded a fourth-round pick to Indy for Allen and expected him to be the solid backup tight end that Gronk has always had. Allen’s season was ultimately a disappointment with him catching only ten passes for 86 yards and a TD. Dwayne is coming off an awful season for the Pats and will need to show something off big in training camp, or else he might not make the roster. 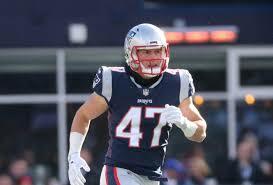 Troy Niklas was signed by the Patriots in the 2018 offseason. He signed a one year deal worth $940 thousand. 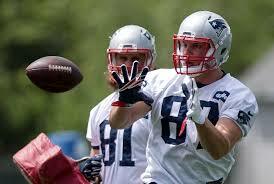 Niklas has been primarily a blocking tight end in his career, which is why the Pats brought him in. He will be entering his fifth season in the NFL and his first for the Patriots. 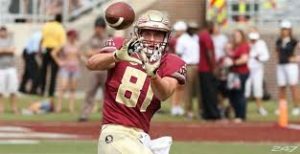 Niklas’ first full NFL season came in 2015 where he played in 16 games and had four catches, 33 yards, and two TDs. He missed 13 games in 2016 due to injury. Troy had 11 catches for 132 yards and one score in his last season for Arizona. Even though Niklas’ stats don’t look appealing, he has been on an NFL roster for his whole career due to the fact he has been a successful blocker. Troy will still have to fight in training camp to make the roster, but he has a good chance to make it. Hollister is entering his second season in the NFL and the Patriots. He was an undrafted free agent signing out of Wyoming after the 2017 NFL Draft. He played a larger role than a lot of people expected out of him last year. Jacob played in 15 games last year for the Patriots. He had four catches and 42 yards last year. He also showed how good he was at catching the ball in preseason where he had 12 catches for 146 yards and a TD. Hollister only played one playoff game and he had one catch for a yard. Jacob Hollister exceeded expectations last year when he played in 15 games. He definitely has a good chance of making the roster for the upcoming season as long as he does well in training camp. Will Tye will be entering his first full season for the Pats and his fourth in the NFL. 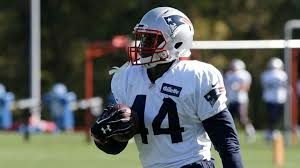 He was acquired by the Patriots in October of 2017 after being cut by the New York Jets. He did not play for the Patriots in 2017 and was placed on the practice squad for the remainder of the year. Tye had his most success for the New York Giants. In his two-year stint with the Giants he had 90 receptions, 859 yards, and four TDs. 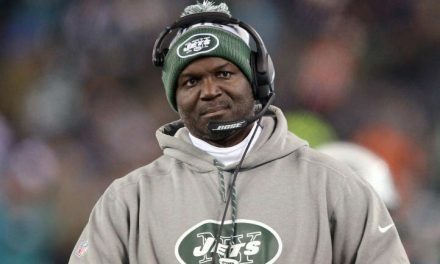 He then was claimed by the Jets, where he only played three games and had four catches for 38 yards. Will has been an extremely good blocker and has played a lot of fullback because of it. If Tye can return to his form from his Giants days, he will have a shot at making the roster. Izzo was the Patriots 250th overall draft pick in the 2018 NFL Draft. He was a four-year player at Florida State University. Ryan was more of a blocker than a pass catcher in his college career, with him not having more than 320 yards once in a season. His senior season consisted of 20 receptions, 317 yards, and three TDs. In total, he left college with 54 receptions, 761 yards, six scores, and 29 games under his belt. Izzo will have a very unlikely chance to make it to the active roster next year. His only hope will be making the practice squad. Shane Wimann was picked up by the Patriots as an undrafted rookie out of Northern Illinois. 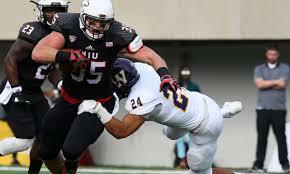 He had a solid career for NIU where he played 31 games. Wimann is also a dominant blocker like many of the tight ends the Patriots have. He hasn’t been to special in the pass game with only 65 receptions, 635 yards, and 17 TDs. Shane is a big man though coming in at 6’4″ and 260 pounds. Shane will have to show something in training camp if he wants to make the practice squad over guys like Izzo. The Patriots have a lot of new faces at tight end this year which will make it hard to narrow it down for the 53 man roster.